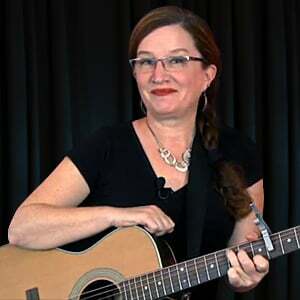 In this lesson, you'll learn how to make the F major chord. We'll also talk about how to strum this chord, plus, learn some insider tips on how to get your very best tone. This is the chord everybody "loves to hate" in the beginning! Don't feel bad if it gives you trouble. It gives everybody trouble at first! You'll get it with practice. Still, it is important that you know about it and have it as part of your collection of basic Open Major Chords.